It has been described as the most important night of the year for financial advisors in Canada – a chance to secure industry recognition and celebrate the very best the country has to offer: and now the first set of 2017’s finalists can be revealed. 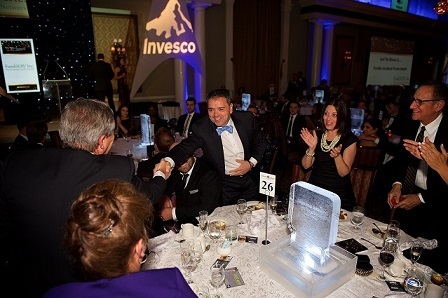 The third annual Wealth Professional Awards brought to you by Invesco, are set for Thursday evening, June 1, at the Liberty Grand in Toronto. In the coming days, we’ll release the finalists for the remaining award categories in what has become the industry’s preeminent awards show focused on the outstanding work done by financial advisors across the country. Here is the first set of finalists – remember to stay tuned as the contenders in more categories are revealed. Danielson Group Wealth Management of Assante Capital Management Ltd.
Chris Lennox – President at Lennox Financial Group Inc.
Darren Gazdag - Senior Vice-President, Institutional Sales at Excel Funds Management Inc.
Philip Douglas - Vice-President, Business Development at Horizons ETFs Management Inc.
Tina Tehranchian Team of Assante Capital Management Ltd.
Danielson Group Wealth Management of Assante Wealth Management Ltd.
G.R. Baird Financial Group Inc.
Richie Group Private Wealth Management of Investors Group Financial Services Inc.
BMO Global Asset Management, "BMO Canadian ETF Dashboard"
Dan Bortolotti, "Canadian Couch Potato"
View the list of 2017’s finalists here.